Should Authors Pay To Get Reviews? This year, like last year, has been all about getting reviews the simpler way-- by shelling out a few dollars. Between graduate school, writing and marketing, I don't have time to find book bloggers and query them. I'm going into my last semester. I don't even know how I'll find time to write. I've given a lot of books away for free. That only led to bad reviews. I have mixed feelings about paying for reviews. The article Should Indie Authors Pay for Book Reviews? was vehemently against it. The author seems to view it as unethical and it can be. But, not always. Most articles I read say don't do it. The authors mention Kirkus but not Netgalley which leaves me wondering what they mean by paying for reviews. 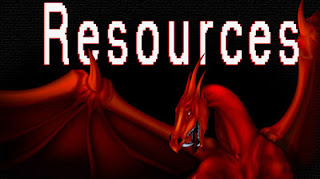 I define it as paying a reputable service to either get your book in front of thousands of reviewers or have one of their reviewers read your book. I don't mean paying an individual to review your book. Getting a positive review from Kirkus is gold. However, I could never get them to look at my small press book without paying. They charge about $500 dollars. At that price, you're paying for the name. The review they gave The Sciell was maybe two paragraphs longs. I did get one good quote from it which I've been milking. However, it wasn't worth the price tag. It would've been effective to take that money and spend it on an ad. Netgalley, like Kirkus Review, is something the big five publishers just love. They make sure it's in their marketing plan. Since publishers are raving about it, I wanted to get my book put on the site. Unfortunately, like Kirkus Review, NetGalley isn't small press friendly. It cost about $400 to list your book on the site for six months. I could not see myself investing that much money in Netgalley when there's no guarantee people will request my book. If you go through Patchwork Press, you can list your book on Netgalley for a month for only $50. I jumped on that. I put books on the site and...nothing came of it. Many people requested my books for review. Only two reviewed them. One wasn't my audience because they didn't like gore- they gave the book a one star review. The other was underwhelmed. I didn't get a return on my investment. Like Netgalley, Story Cartel puts your book on the site so readers/reviewers can download it. They get entered into a contest if they review the book. You list your book on the site through tokens which cost about $25. Not bad. I got most of my reviews from Story Cartel. The problem with Story Cartel, like Netgalley is that there's a risk of people who aren't your target audience grabbing your book and reviewing it, which happened to me. Often. However, Story Cartel gives you the email address of everyone who downloaded your book so you can add them to your mailing list. At the time I used the site, I didn't have a mailing list. I found this route effective. When you sign up and pay for a Book Tour, you can make your book available for review. Chains of the Sciell received a great review during the book tour. Got some helpful quotes to use. The tour through Goddess Fish was $90 for two weeks and it was money well spent. My story got some serious exposure. It didn't lead to any sales though. I consider the tour a success because of the review, exposure and connections. I discovered bloggers who are interested in my book. Some of them review books. Goddess Fish is author friendly. They encourage reviewers not to leave a bad review during the tour. If they didn't like the book, they do a promo post instead. Either way, a win for me. I'm a tour host now for Goddess Fish and I like them even more. They also encourage authors to comment on their posts. Goddess Fish does some serious social sharing. I signed up to have The Sciell go on a review tour Jan. 6-27. It cost $60, which is nothing compared to what I spent on reviews and Facebook ads in the past. I've already used Goddess Fish so I know it'plan be money well spent. Even if it doesn't help sales of The Sciell, this tour will be good advertisement for Book 3 The Lost Sciell (World title) coming in June. It's all about what's good for your book. Kirkus Review and Netgalley aren't bad. They simply aren't good for my book. More than likely, as an author from a small press publishers, I shouldn't have focused on those giants right out the gate. My publisher and I learned that about BEA. It's really not for little known independent authors and small press publishers. Goddess Fish is friendly to the just starting out authors and publishers. Patchwork Press' Netgalley Co-op is specifically to help independent authors get on Netgalley. They also said certain books do better on Netgalley. The quote was take from a Patchwork Press' NetGalley analysis. It was published in 2013 though so I don't know how accurate the findings still are. I've done enough tests to know readers like my book cover and description...at least for The Sciell and Chains of the Sciell. Since my books are often said they could appeal to a YA audience, I may have done better on Netgalley if I tweaked my description a bit. Don't know exactly what happened with StoryCartel. I'm thinking too many people who aren't my target audience read and reviewed my books. You need to be aware of not only your audience but the review sites audience. Do your research. I went to Kirkus Review and Netgalley simply because other publishing professionals like them. I didn't do any research to see if giving those sites money was good for my books or how I should present my book on Netgalley. 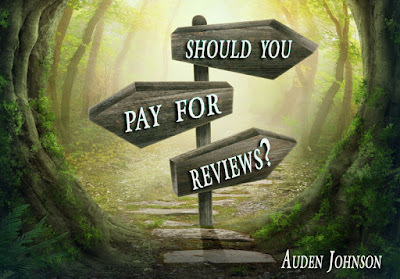 Should authors pay for reviews? There's really no easy answer for that. It depends. What do you think? Would you pay to get reviews? The Book Designer: Should Authors Pay for Book Reviews? Huffington Post: Book Reviews: Should You Pay for Them? ALLi: Watchdog: Is A Kirkus Review Worth The Price?